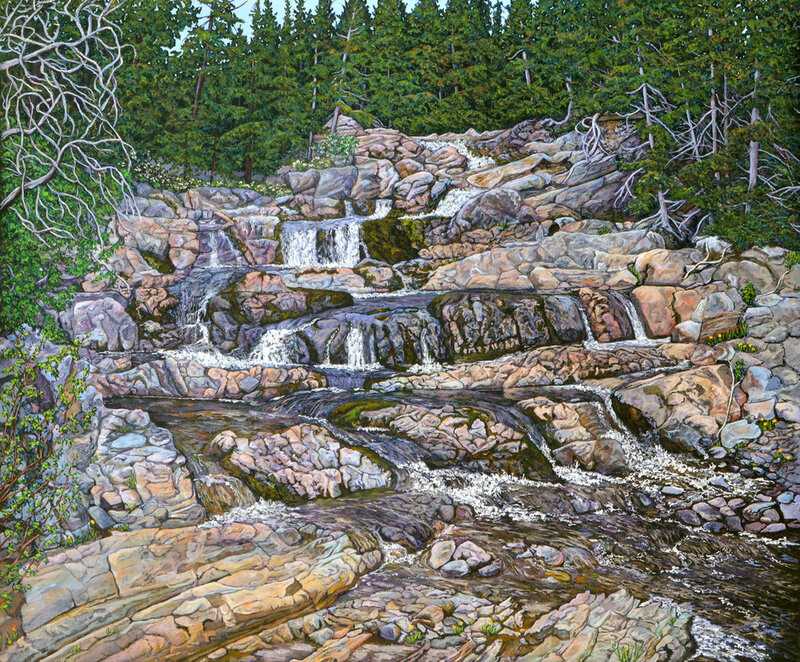 Rattling Brook Falls is a beautiful setting in Newfoundland, near Mount Carmel. It took a few hours to do the preliminaries for this particular subject, because I knew I wasn't able to return once we left it. It started the same way as other canvases, with the basic drawing, then finish the sky, and here you see I have done all the rest of the painting in a mixture of lamp black, alizarin crimson and prussian blue. Cerulean blue, flesh tone and davey's grey is lightly starting to drape over the rock formations.